A perfect match to our Sophia wedding earrings, Sophia drop wedding necklace . A match made in Heaven for a wedding dress with a detailed bodice. SOLD OUT until February 15th. Some times only a simple drop wedding necklace is needed, one with a tear drop pendant and a delicate fine chain. Match this necklace with the Sophia earrings or mix it up a bit with bigger statement earrings. 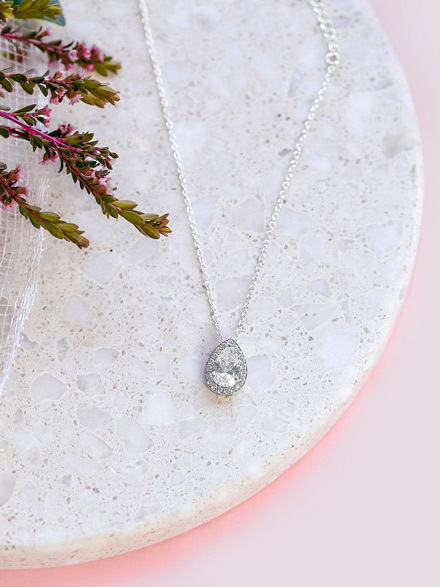 I love drop wedding necklaces with a sweetheart neckline, if your dress has straps or sleeves, no problem as this necklace will compliment rather then over whelm the neckline. Also a bracelets to match. 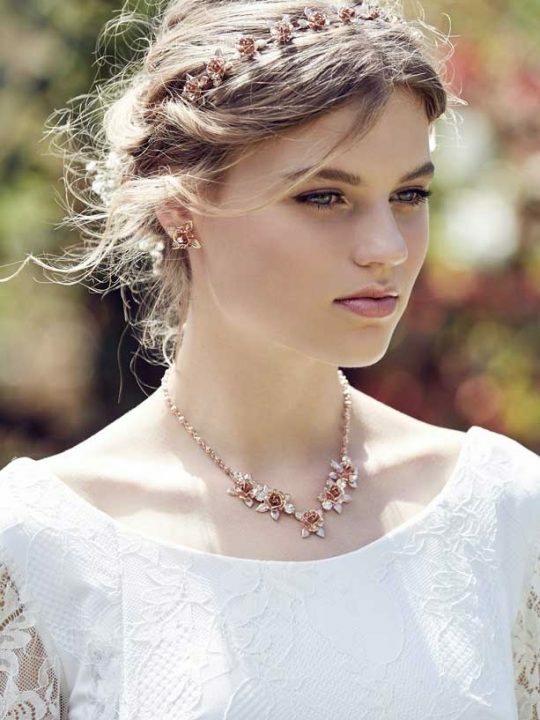 The Sophia necklace is a part of our Halo Collection – classic wedding jewellery that will last the ages. The Hello Lovers necklace’s and earring’s come beautifully presented in a silk pink signature box. 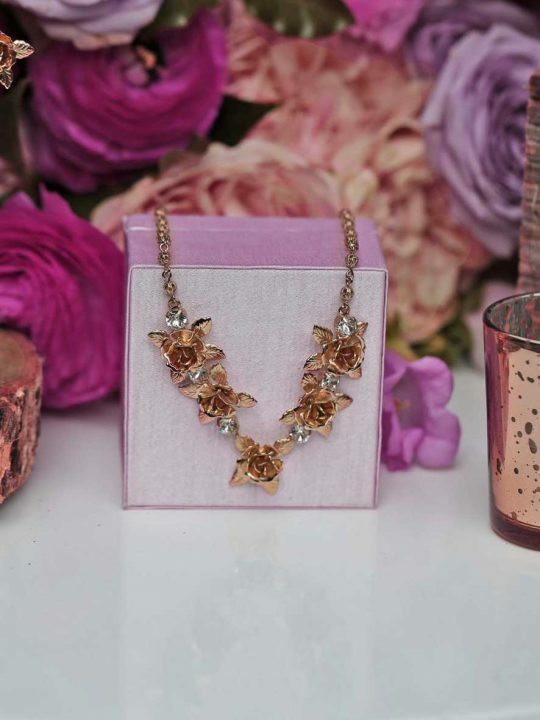 Why not gift the Sophia set to your bridesmaids or other family members.